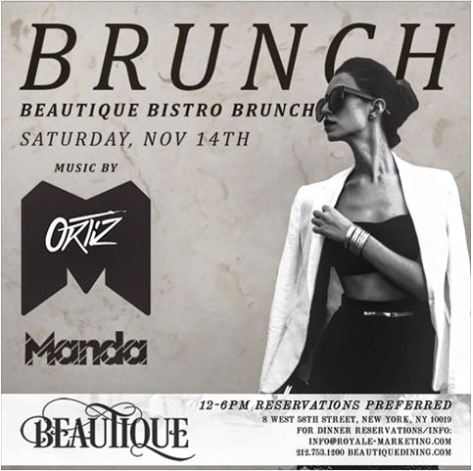 Our Saturday Brunch is really quite a fantastic experience , its at Beautique one of the most glamorous , fabulous locations in the city , with fantastic chefs and mixologists . Please make sure to RSVP with us so you do not miss out !!! “Royale Marketing increased our bar sales past our expectations in hiring them. They are a truly unique company with a great arsenal of contacts at their disposal"
© 2016-2018 Royale Marketing | All Rights Reserved.